It's been that sort of season for Mahmoud Wadi who has started life abroad like a house on fire. Ahli Amman fought valiantly against one of the "Big Two" of Jordan's top flight but two second half goals sealed the game for Al-Wehdat. That said, Wadi and Ahli did not go quietly into the night. In the first half, the powerful Gazan striker launched a shot from inside his own half that nearly found the target with Amer Shafi desperately back pedaling. Wadi made it seven goals in seven league games in the 81st minute- receiving service at the top of the box with his back to goal, shrugging off a defender, and lashing a shot on the turn past one of Asia's best keepers. Mahmoud Wadi's goals have been a regular feature of Ahli's games. He scored on the opening day of the season, a 3-3 draw vs. Al-Baqaa, didn't score against That Aras on Match Day Two, but has since scored at least once in each of Ahli's games. He also scored in Ahli Amman's 2-0 win over Al-Baqaa in the FA Cup to take his tally up to 8 goals in eight games. His goals have come from headers, fast breaks, tap ins, and most recently, that effort from outside of the box. This compilation of his touches in the cup win over Al-Baqaa speaks volumes as to his importance to Ahli Amman and to his ability. Palestinians scoring goals in Jordan is nothing new but Wadi is on pace to break records set by previous generations of Palestinian professionals. 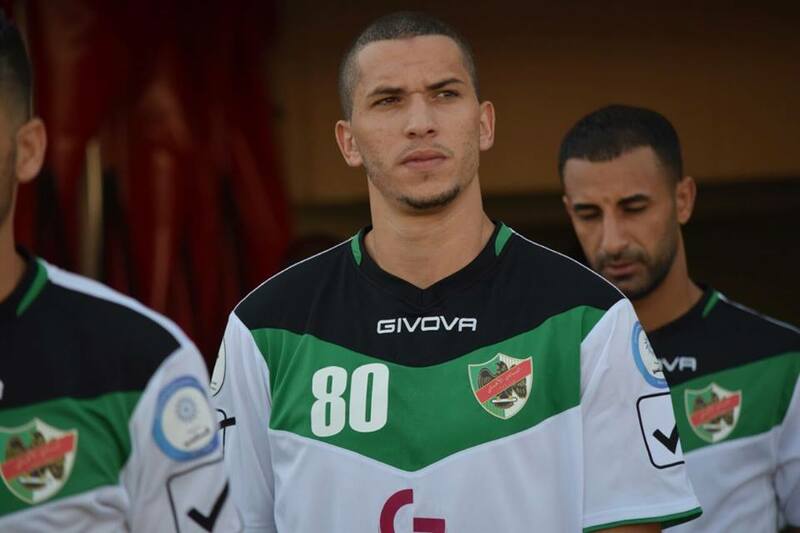 Fadi Lafi was the league top's scorer in 2001/02 scored 16 goals in 2001/02 for Al-Wehdat and hit double digits with Shabab Al-Ordon in 2004/05 and 2005/2006 scoring 12 and 11 goals, respectively. Lafi, who recently went into management, was voted league's best ever foreign player. Fahed Attal's debut season in the league saw him notch 8 goals with Al-Jazeera in 2006/07. He matched that goal total in 2008/09 and 2009/10. While Ashraf Nu'man scored nine times in 13 games for Al-Faisaly in 2012/13. The next step for Wadi could very well be a move away from the Hashemite Kingdom. The less prominent clubs of the UAE, Qatar, and Saudi Arabia have looked to Jordan to bolster their ranks with proven quality and that is the path Wadi should be able to plot at season's end. It's worth nothing that Syria's Mardik Mardikian was the league's top scorer last year but he decamped for the Qatar Stars League after notching 14 goals.